Pioneer has been at the forefront of consumer electronics since the dawn of the digital age, so when cyclists working for the electronics giant all around the globe decided to make a power meter, the outcome was already a foregone conclusion. With the resources and experience available at Pioneer, their Power Meter System would be a solid performer and a solid game-changer. Often times, the fastest riders in the peloton aren't just the strongest riders, but the smartest and the smoothest. Saving energy wherever possible is paramount when it comes to winning races, and you'll find one of the places where you can save the most energy is your pedal stroke. At the core of the Pioneer Power Meter System are dual strain gauges (one for each crank) that measure force vectors every 30° of crank rotation, or in other words, 12 points of measurement for each leg every pedal stroke, with each point recording a force and a direction. When paired up with Pioneer's Touchscreen Cycle-Computer, this information is analyzed and displayed in real-time to show you not only how much power you're putting out but also, by utilizing the vector data, how efficient you're being with your power. After all, putting out 400 watts for 20 minutes certainly sounds impressive, but it might not amount to much if you're applying all that force in any other direction than what is optimal to spin the crank around. With the Pioneer Shimano Ultegra 6800 Power Meter Crankset, invaluable power measurement is combined with Shimano's Hollowtech II crank for a dependable training component that still excels during the race. 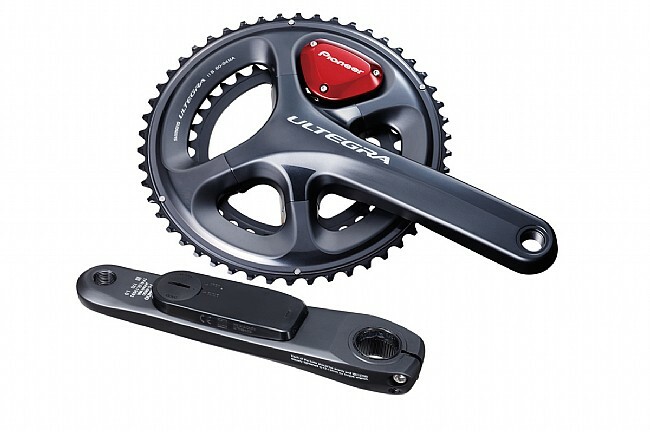 The Pioneer Power Meter System adds just 64 g to the weight of an Ultegra 6800 crankset for a total claimed weight of 855 g. When used with third-party ANT+ capable cyclo-computers, power numbers are available according to the features of the paired computer. Estimated operating time is 180 hours on two CR2032 batteries. 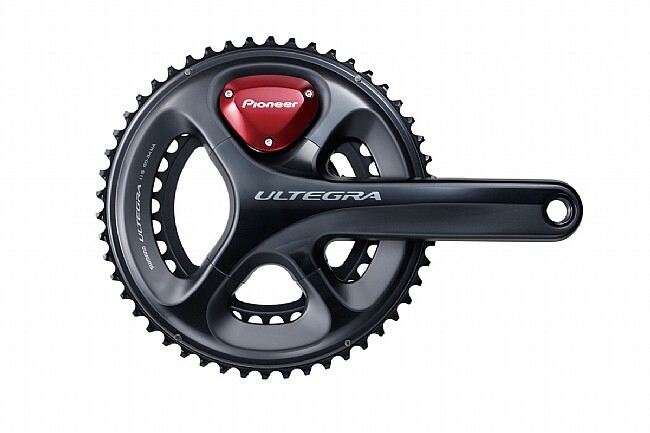 Available in multiple crank lengths and chainring options. What I like The system is light adding only 60 to 70 grams to your bike. The build quality looks to be very good. The price is reasonable compared to other true left right data systems, actually probably lower and provide more in depth data than any other system out there today. Support from Pioneer when I had questions was very good and the turn-around time for the installation of the system on my crank was really limited only by shipping time (I purchased during the off season though). When used with their cycling computer and the Cyclo-Sphere web system it gives advanced data that can help understand areas to improve your pedal stroke. Using the Cyclo-Sphere web based system you can adjust torque or power to match another system. So regular pavement on road use only is what this is designed for its a training tool. If you want something more versatile there are other options that may work better. For me, I can swap cranks and use my Stages meter when I do off road gravel rides which is inconvenient but manageable. Ill just have to count on my training carrying over to the off road conditions instead of being able to see it in the data during the ride or after the fact for these scenarios.The system output lags on start up by 5 or so seconds like the Stages power meter does. My PT wheels output data instantly.